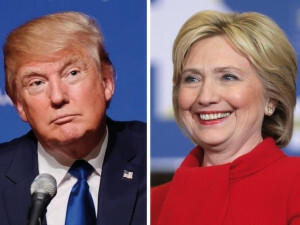 Cyber security firm Flashpoint has observed four 30-second HTTP Layer 7 attacks targeting the campaign Web sites of the presidential candidates. As Americans cast their votes in the historic presidential election today, leading candidates Hillary Clinton and Donald Trump's Web sites have been targeted by botnet attacks. While the candidates made the final push to get voters, cyber security firm Flashpoint observed that between 6 November and 7 November, four 30-second HTTP Layer 7 attacks targeted the campaign Web sites of the presidential candidates. However, there were no observed or reported outages for either of the sites. More than 120 million Americans are set to vote in the most divisive election in modern US elections. According to Flashpoint, unsophisticated actors are using the Mirai Internet of things (IOT) botnet to target the candidates' Web sites. The firm does not believe the attacks were related to nation-state interference. It says it is confident the Mirai botnet has been fractured into smaller, competing botnets due to the release of its source code, which has led to the proliferation of actors exploiting the botnet's devices. US lawmakers, especially from the Democrats, have frequently accused Russia of some hacks they say were designed to influence the presidential election. There was an outcry in the US when computer networks of the Democratic party were compromised, with the hackers getting away with more than 19 000 e-mails when the electioneering was in full swing. Flashpoint notes that recently, political figures, analysts and media alike have been concerned over the potential for Mirai botnet DDOS attacks during the US election. Although these botnets may have grown smaller and less effective, it says many hackers continue to attempt to use them to gain attention, build credibility, and/or create disruption. At least one known hacker has claimed credit for the first set of attacks against Donald Trump's campaign Web site, although this claim cannot be independently verified, says Flashpoint. Jono Gaukster (@omegadragon97) tweeted to Donald Trump's Twitter handle (@realDonaldTrump) just 30 minutes after the attack: "@realDonaldTrump hey Trump do you mind DDOS attack on you? #JustWandering." Allison Nixon, director of security research at Flashpoint, says so far these DDOS attacks have been limited to the nominees' Web site infrastructure and have not targeted - nor affected - any infrastructure associated with the actual electoral process. Flashpoint assesses with high confidence that these attacks were not perpetrated by a state actor, she notes. "This attack, in addition to other more powerful, higher-profile attacks associated with the Mirai botnet, all align closely with tactics, techniques and procedures commonly executed by hackers operating from underground forums." According to Nixon, though these attacks' targets suggest political motivation, this may not be the case. "Widespread concerns of DDOS attacks surrounding election day provide fertile ground for hackers operating from underground forums, as these hackers tend to be primarily motivated by the desire for attention, credibility, or 'trolling' via disruption and chaos. This election season seems to be particularly contentious, and fears over foreign influence in the election have only raised anxieties surrounding election day." She says while attacks against Web sites may cause minor challenges for the respective candidates' campaign operations, they will not directly impact the final vote count in the presidential election. Flashpoint will continue to monitor the Mirai botnet for further developments. Meanwhile, #Election2016 was trending on social media today with lots of people from across the globe eagerly awaiting the results. "I ain't even American but I'm taking advantage of the last few hours of peace, cause the world is about to get doomed #Election2016," one Twitter user posted this morning. A Trump supporter tweeted: "Donald Trump will win the election, and there's a great chance that it won't even be close #Election2016." Meanwhile, one pitting for Clinton poster wrote: "Terrifying to think so many will vote @realDonaldTrump today. America don't screw the world. Vote @HillaryClinton Pretty please."